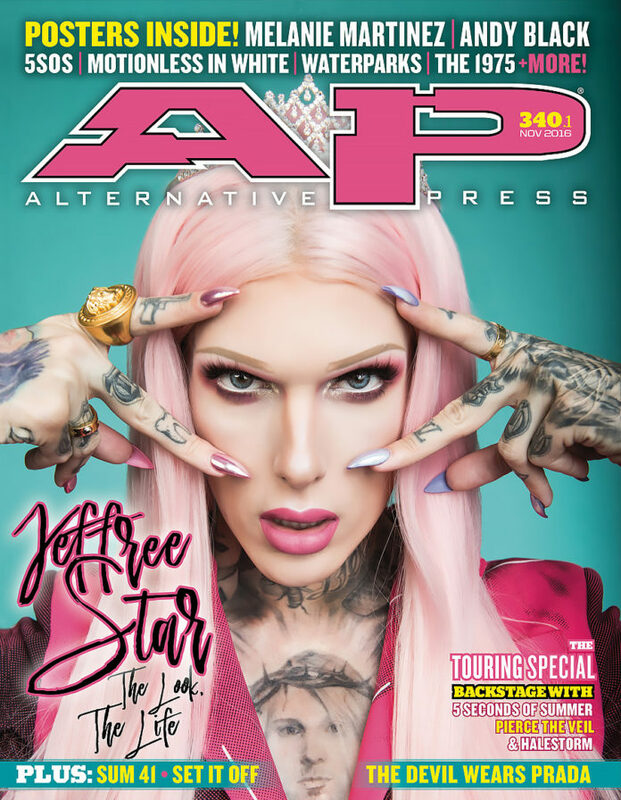 Jeffree Star puts his best face forward; backstage with Pierce The Veil, Halestorm & 5 Seconds Of Summer; Set It Off, Microwave and more! This Myspace maven used to do the Warped circuit, living out of a van and performing on side stages. Now he’s upgraded to the BMW life, selling liquid lipsticks and frosty highlights to vastly larger lines than anyone else this summer. But Star’s beauty horizons go far beyond Warped—and he’s here to stay. As a former Mormon missionary, Microwave’s Nathan Hardy can cheerily say he’s moved up and on from his past life. Now, he’s making gritty pop punk anyone can fall in love with. Deryck Whibley has been through a lot this year. After a life-threatening stint in the hospital, he’s ready to unleash new Sum music—and a new perspective—onto the world. From hand-selling CDs at Warped to playing the main stage every day, Cody Carson tells us how Set It Off’s turbulent journey so far led to their most dynamic album yet. 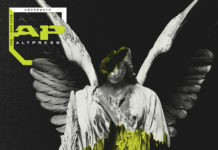 We asked PIERCE THE VEIL, 5 SECONDS OF SUMMER and HALESTORM for their absolute tour essentials, and got some pretty interesting answers. From electric scooters to sewing kits, here’s how these bands stay sane on the road. Do established bands have a responsibility to promote up-and-coming bands? 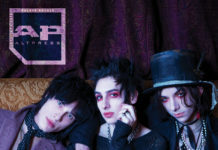 This month, we’re slamming into MACHINE GUN KELLY, NEW YEARS DAY and all the Halloween goodies you could ask for. Interviews and advice from the people behind EVERY TIME I DIE, STITCHED UP HEART and others. TROPHY EYES, BIG JESUS, SLEEP ON IT and 12 of your new favorites. Thanks to our pal JEFFREE STAR, we’ve got all the style guidance you could possibly need. The latest releases by THE DEVIL WEARS PRADA, BOSTON MANOR and more.